Nazzareno (Rome, Italy) on 28 February 2019 in Lifestyle & Culture. I can feel the silence the fog brings. Tous les temps sont beaux à Venise, celui du jour crée une superbe photo, bravo. An enchanted ambiance captured here! 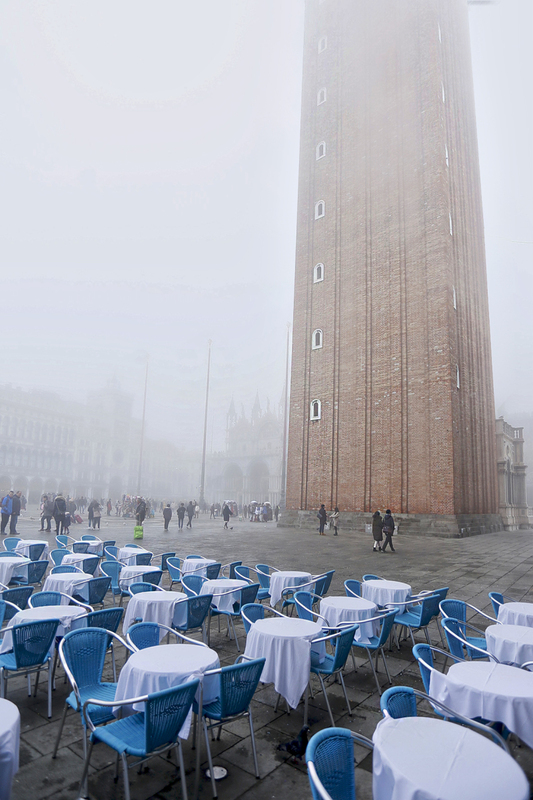 A strange sight with the tables and the huge monolith disappearing into the fog. Excellent photo. A fabulous image! The large building seems to just be rising out of the fog. I like how the tables are ready for customers. What a very high tower !